New federal guidance shows how to prevent adverse health effects from energy retrofits and building upgrades in schools. Many renovation and construction activities can create dust (such as lead and asbestos); introduce new contaminants and contaminant pathways; create or aggravate moisture problems; and result in inadequate ventilation in occupied spaces, according to the U.S. Environmental Protection Agency. Nearly 55 million elementary and secondary students occupy United States’ schools, as well as seven million teachers, faculty and staff. The new guide provides school officials and facility managers information to protect indoor air quality during renovation activities. The Energy Savings Plus Health: Indoor Air Quality Guidelines for School Building Upgrades aims to help school districts protect indoor air quality while increasing energy efficiency during school renovations. The 130-page document provides action plans for 23 building upgrade scenarios and includes assessment protocols and recommended measures to ensure the safety of children. For example, the guide offers summary information regarding the agency’s Renovation, Repair and Painting (RRP) rule and how to ensure compliance. RRP requires that contractors who work on pre-1978 dwellings and child-occupied facilities to be trained and certified to use lead-safe work practices. EPA finalized the RRP rule in 2008; it took effect April 22, 2010. Lead exposure can cause a range of health effects, from behavioral problems and learning disabilities to seizures and death, putting young children at the greatest risk because their nervous systems are still developing, the agency says. Renovation activities, such as painting, in older child-occupied facilities put young children at risk for lead exposure. “This guidance provides common-sense solutions for improving energy efficiency and indoor air quality in schools across the country,” said Janet McCabe, acting assistant administrator for EPA’s Office of Air and Radiation. Nearly 55 million elementary and secondary students occupy United States’ schools, as well as seven million teachers, faculty and staff. 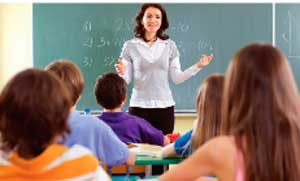 EPA says half of the schools in the U.S. have adopted indoor air quality (IAQ) management plans, the majority of which are based on EPA’s IAQ Tools for Schools. However, there are still about 25 million children in nearly 60,000 schools who are not yet protected by IAQ management programs. The practices outlined in the document support schools as healthy, energy-efficient buildings that play a significant role in local communities.